Here is the holiday live stream! If you watch the video on youtube there is a program listing with time stamps in the description. On Saturday April 7 at 7:30 Keyed Kontraptions has a concert at the Seventh Avenue Presbyterian Church. We will play works by Yangfan Xu, Bryan Lin, Sarah Wald, Joseph Columbo, and Lily Chen. The program is varied including elements of aleatory, minimalism, and some juicy woodwind extended techniques! I tried an experiment last week involving a Green Reed for Contraforte. I just harvested some cane in early January and decided to try to immediately make a reed out of it instead of letting it dry. And this is what turned out! I regular reed that sounded and acted like any other reed but it was fresh green cane and didnt need to be soaked in water before I played on it. The texture was similar to a very hard piece of cane so I had to make this thinner than I would normally. After a few days it started to dry out and warp and is now is playing very sharp. Next I’m going to try this on regular bassoon. I would suggest trying it to all of the cane harvesters out there! 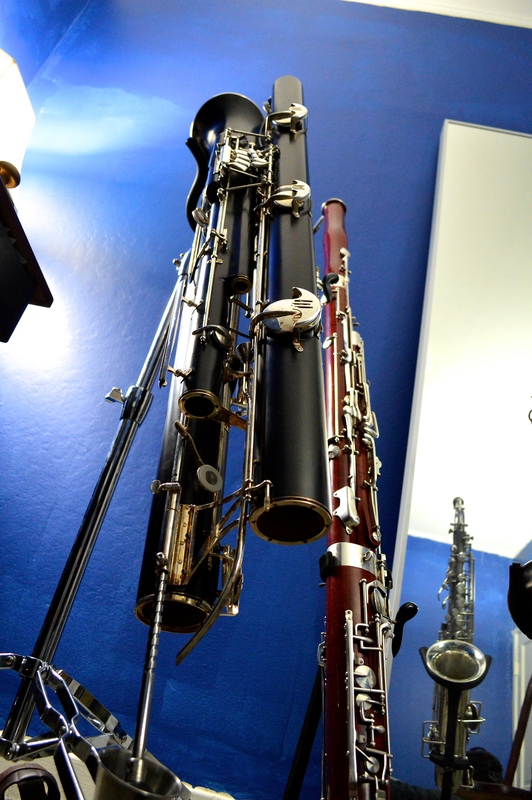 Large woodwind instruments have problems with water and condensation from regular playing. Not to mention the amount of playing that occurs in the lead in to a recital or audition. 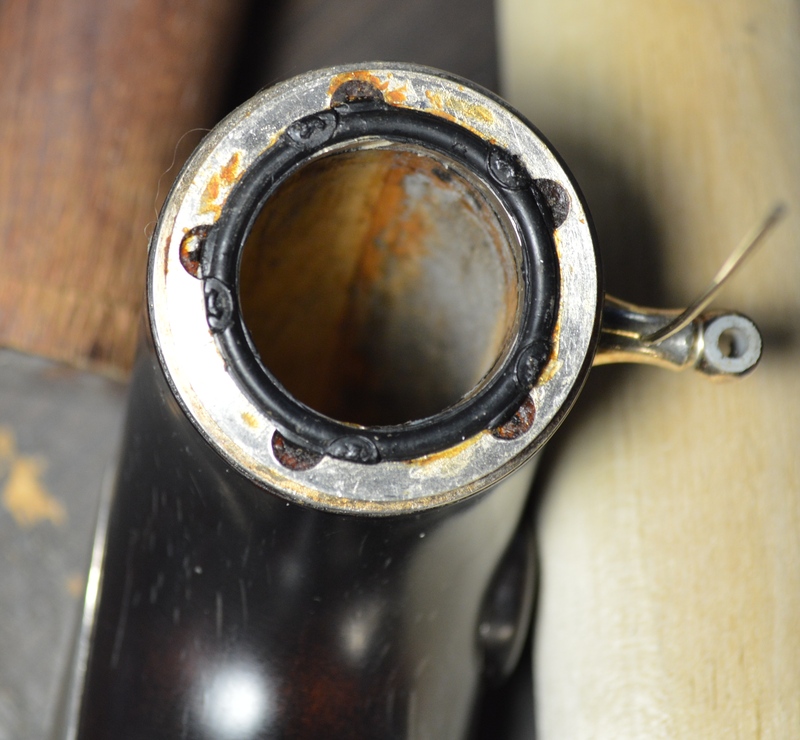 Contrabassoons are especially susceptible to water damage because they do not come apart to be swabbed, and most players cannot take their contras apart without damaging the seal when putting it back together. 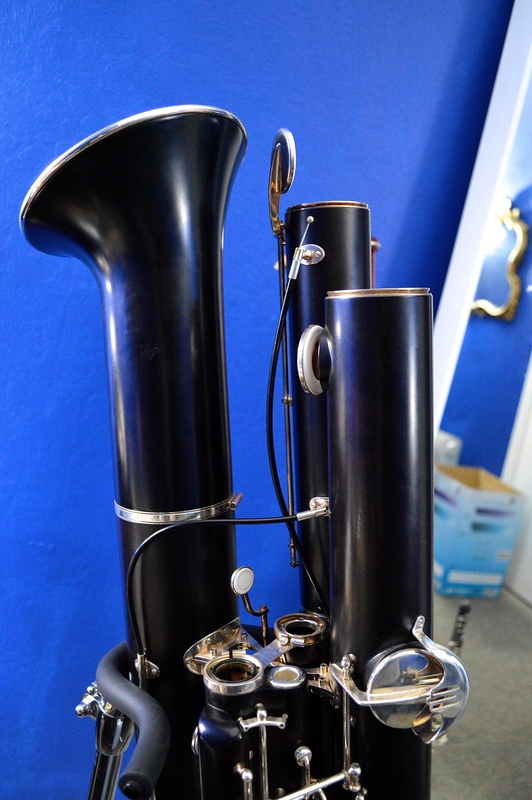 Just last week I was talking to a woman who had bought a Mollenhauer contrabassoon in an estate sale. She bought half of it along with another bassoonist, and they shared it. 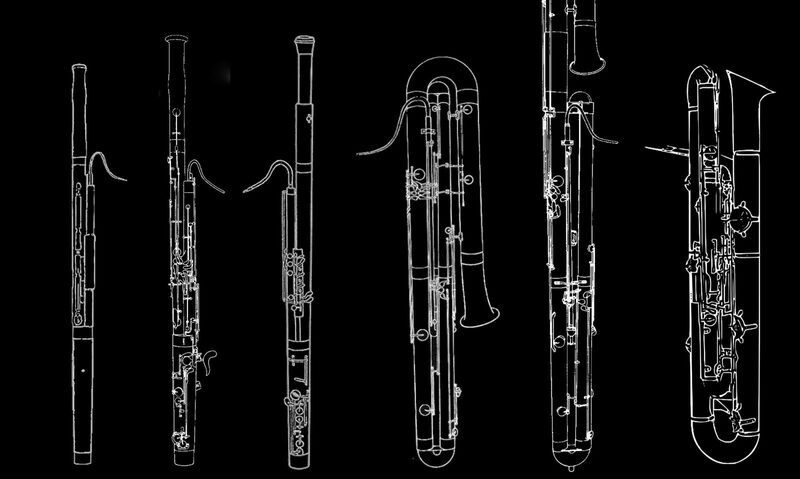 But after a few months of playing and putting it back into the case one of them developed a cough, and through some sleuthing, found that the contrabassoon was full of mold! They brought it to a repairman who cleaned it out but it was never the same. We all heard about Trombone Lung a few years ago. This stuff can really cause respiratory ailments along the lines of Anthrax. The best method for keeping a contrabassoon dry is to remove the tuning slide and leave it out on the stand for a few hours after playing. This won’t prevent all problems, on older contras water damage can even be seen on the outside of the instrument, through the lacquer. The contra’s “wing joint” is the common problem, this is the first piece of wood after the first bend. The danger is mold, and that the mold can damage the seal of the instrument and eat away at the wood of the bore, changing the dimensions. Contraforte has a bad side and a good side. 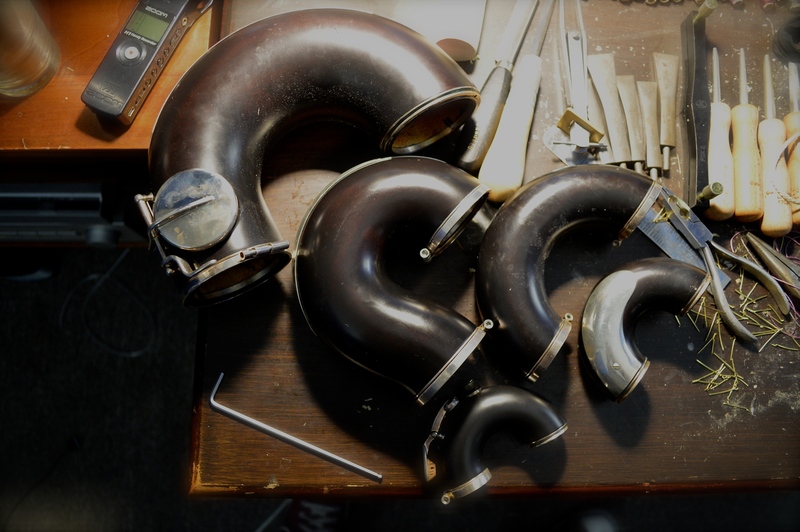 The bad side is that there is no tuning slide, and so nothing can be opened to help it air out; the good side is the modular design which allows players to take apart their own instruments. I can safely loosen the C-clamps and remove a bend to clean out sections. Recently I removed the second bend for the first time to find that it was lined with mold. The first bore can air dry but after a certain point the circulation doesn’t dry out the entire bore. This means that I need to do regular checks and cleanings at least once every two months. The best tools for preventing life in an instrument are rubbing alcohol and a dehumidifier. Find a small spray bottle capable of an extremely fine mist, as fine as an aerosol spray. fill it with rubbing alcohol and spray it down the bore when you finish playing and right before you swab (non-contra) The alcohol mist will sterilize the bore and the hard to reach tone holes with the added benefit of evaporating quickly. I even do this to my bassoon before I swab it and put it away. 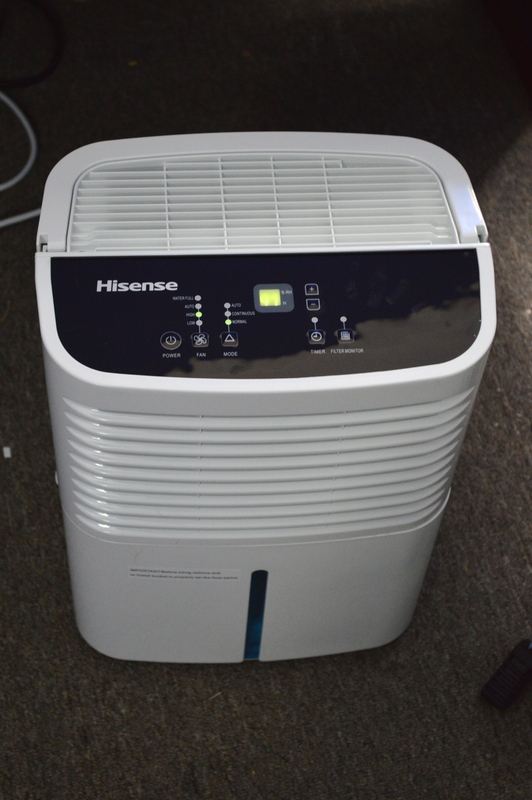 Having a dehumidifier drying out the air makes it difficult for mold and fungi to take hold. Today I did a large scale cleaning by removing all bends and using a fine sprayer of rubbing alcohol. By spraying sections at a time and swabbing them I killed any mold spores and other microbes living inside. I have recently invested in a great dehumidifier from Lowes which has improved the air quality. I highly recommend a dehumidifier for woodwind players or doublers. 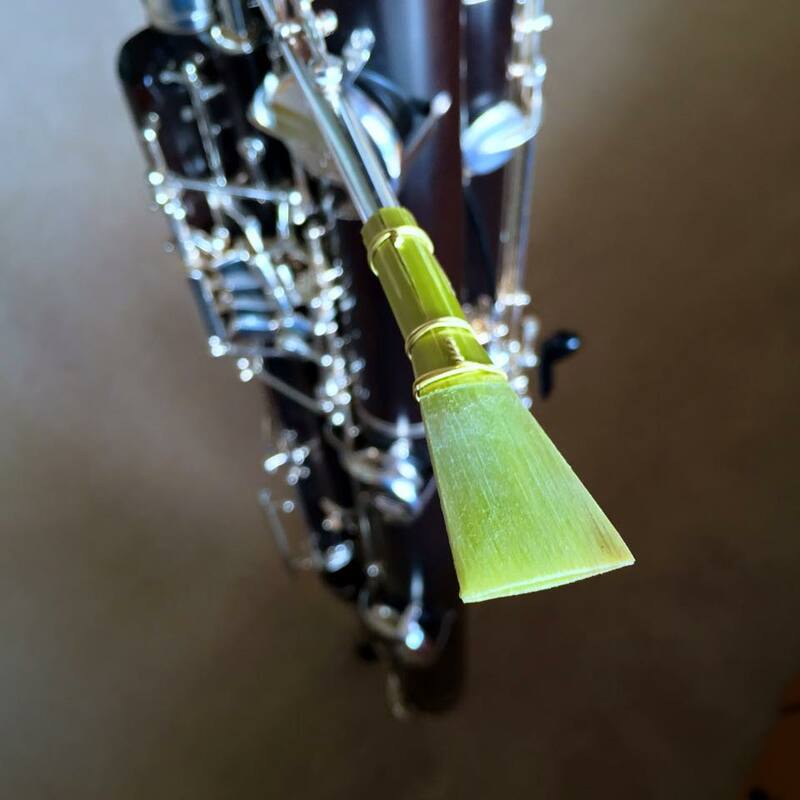 If you can imagine all of the moisture that accumulates in the air from playing multiple instruments and reed making, it makes it hard for things to dry out fully. Especially here in the San Francisco Bay Area there is constant fog and moisture from the sea. I have been keeping my instruments at 45% humidity, this has already stopped my problem of sticky pads. Robert Rønnes has written a great method book called Twelve Virtuoso Studies. I have been working with this book for over a year now and it has been an asset for my technique. This has been especially helpful on contrabassoon and contraforte for down slurs. Excerpts like Elektra have large down slurs that need to be clean AND sound like it’s easy. So the first exercise “Warming Up” is all middle and low range, which isolates large interval slurs. Running through this every day on contra has made a noticeable difference in my playing.